Wishing all my friends, readers in the world a very happy and prosperous new year 2015. It wouldn’t be wrong to say that Indian market in 2014 performance was one of the best in the world. The confidence is back in the economy green shoots are visible and you might see soon the Elephant dancing. The markets are euphoric and media making the noise to the extreme, there is a rise in the demat account openings, Mutual funds saw record rise in investments. The FII’s are continuously flirting. FDI in various sectors getting nod to increase the stake. Everyone is busy in predicting the market at the end of Dec 2015. Anybody’s ability to predict should be taken with a pinch of salt. When it comes from a broker take it with a pinch of salt. Nine out of 10 people in finance don’t have your best interest at heart. Don’t try to predict the future. Saving can be more important than investing. Tune out the majority of news. Emotional intelligence is more important than classroom intelligence. Most financial problems are caused by debt. The perfect investment doesn’t exist. 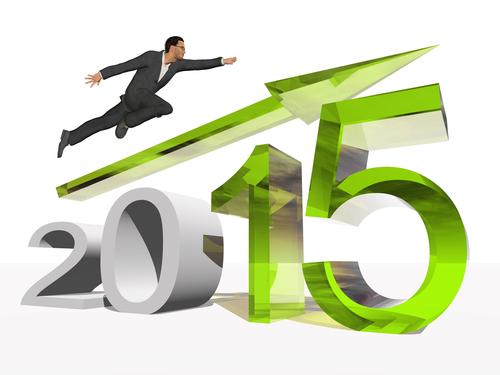 Once again have a happy investment year 2015. « Greed is Good ?